With 2012 nearly in the record books, I thought I would take this time to give all my readers some blogging stats for 2012. Wordpress gives you plenty of reader stats to look at for different periods of time, whether it be for a day, month, quarter or in this case an entire year. I always find it interesting exactly what my readers are reading/viewing. It allows me to adjust content and features accordingly. So here are blogging stats (by category) for 2012. SWOT Analysis – I began the SWOT analysis feature in 2012 and it was one of the most read (popular) features of the year. 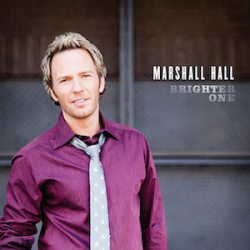 The top five read SWOT analysis features were (1) Mark Trammell Quartet (2) Gaither Vocal Band (3) Booth Brothers (4) Gold City (5) Ernie Haase & Signature Sound. Album Reviews – I am still impressed that the album reviews are one of the most read features on the blog. I feel honored that readers value my input on new album releases. The five most read album reviews of 2012 are (1) Pure And Simple – Gaither Vocal Band (2) Believe – Anchormen (3) It’s In The Savior’s Hands – Inspirations (4) Real Man. Real Life. Real God. – John Berry (5) Nothing But Love – Brian Free & Assurance. Ranking Album Covers – Folks enjoyed the ranking album covers feature. This feature will continue in to 2013. 2012 NQC Recaps – Readers still want to hear what is happening at NQC. While my NQC recaps didn’t garner as much readership as in 2011, it was still one of the five most read features of 2012. The Friday night recap was the most read of the week. Song Hall Of Fame – The song hall of fame was another new feature I began in 2012 honoring the best songs of the genre’s history. The most viewed was for “What A Day That Will Be”. March Madness – Readers enjoyed the Southern Gospel March madness competition I held. I am thinking about having another in 2013. Ten On Ten – The ten on ten feature was still a favorite among readers. The five most read ten on ten features of 2012 included one artist that was originally posted in 2011. (1) Oak Ridge Boys (2) JD Sumner & Stamps (3) Downings (4) Cathedrals (5) Statesmen. I was surprised to see all the countries represented as far as views on the blog. Here were the top ten by site visit: (1) USA (2) Canada (3) United Kingdom (4) Netherlands (5) Brazil (6) Norway (7) Mexico (8) South Africa (9) Colombia (10) Argentina. The most viewed classic video clips that I posted and was viewed in 2012 were as follows: (1) “Enter In” – Kingsboys (2) “Go Out To The Program” – Kingsboys (3) “If It Had Not Been” – Perrys Sisters (4) “Farther Along” – Kingsboys (5) “Last Train To Glory” – Dixie Melody Boys. 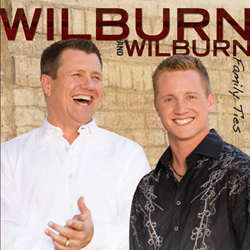 The top five artist search terms used to get to the blog in 2012 were (1) Mark Lowry (2) Wilburn And Wilburn (3) Marshall Hall (4) Tim Greene Trio (5) Kingsboys. I want to thank my other blogging friends for listing my blog on your site. These were the top five referrers to my site in 2012. (1) XM/Sirius Enlighten Radio (2) Southern Gospel Concerts (3) Swains Musings (4) Southern Gospel Yankee (5) Facebook. **Thanks for a great 2012! It is because of you (the readers) that I want to continue with the blog. I want to thank the 16 individuals who participated in the contest trying to guess what I would choose as the top five albums of 2012. Of all 16 participants there was only one individual who was able to guess four out of five. No one scored a perfect five and only one individual guessed four of five. Congratulations to Wayne H for guessing the Perrys, Hoppers, Anchormen and LeFevre Quartet. He wins two albums of his choice from my list of 48. As I posted last year, I also wanted to use this post to list the 40 most played radio songs by yours truly for the year. I listen to tons of Southern Gospel music in a year and at the start of each year I create playlists that track total number of listens of radio singles for that year to determine at year’s end what my most played songs were. Here is the result for 2012. The time has come to crown the best Southern Gospel album and recorded song of 2012. When the dust settled on everything I listened to this year the Perrys had the best album. Through The Night released in October for the Perrys and the album is one of the strongest of the entire year in terms of song selection. I enjoyed the approach the Perrys took with several stand out ballads. They didn’t do their traditional power ballad treatment but instead took the, singing and let the vocal convey the message approach. That is most evident on “Whosoever Will” and “Too Good To Not Be True”. While not as strong as the group’s landmark album Almost Morning, Through The Night is still one of the top five albums of the group’s entire discography. I have read that 2012 was a slump year for strong Southern Gospel albums. I guess it depends on one’s definition of Southern Gospel and exactly how many recordings were listened to. While I would agree that if Through The Night was released in 2011 it may have not been the #1 album last year, but guess what it is not 2011. As far as 2012 is concerned, the Perrys can relish in the fact they have the best Southern Gospel album released this year. Personal favorites from this recording include: “Whosoever Will”, “One Of These Mornings”, “Too Good To Not Be True”, “He Is Good To Me”, “Through The Night”, “Unspoken Request” and “I Got A Hold Of God This Morning”. Depending on your definition of Southern Gospel, could probably disqualify the song I chose as the #1 recorded song in Southern Gospel music for 2012. Good thing my definition is a bit broader than most or one would miss out on this power house performance. Sisters showed their artistic excellence in 2012 by releasing one of the best a cappella albums ever in Southern Gospel music with An A Cappella Collection. Sisters decided to record a song made popular by the Brooklyn Tabernacle, “Thou Oh Lord”. A soaring praise song that builds in intensity was a perfect fit for a group with the vocal talents of Sisters. I remember the moment I first heard Sisters performance of this song. To say I was blown away would be an understatement. It would be hard for any listener of Southern Gospel music to argue that Sisters is not one of the best vocal groups in the industry. 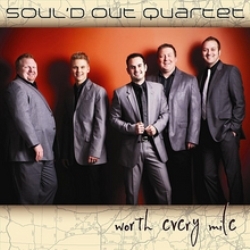 Their performance of the #1 recorded song of 2012 in Southern Gospel music, “Thou Oh Lord” is proof. Here is a YouTube clip of Sisters performing the #1 recorded song of the year. Enjoy and thanks for making this a great blogging year for me! I enjoyed bringing you this list of what I consider to be the best of 2012. Look forward to bring you more of the same in 2013! I trust everyone had a wonderful Christmas day. As we get close to turning the page on 2012 and starting 2013, it is time to take a final look at the best Southern Gospel album and recorded song of the year. Today we take a look at the runner-up (#2). 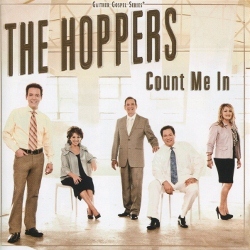 Runner up for the best Southern Gospel album of 2012 is Count Me In by the Hoppers. Released in October, Count Me In is a different album for the Hoppers, in comparison to their last half-dozen. 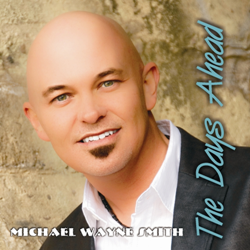 This time the group called on Michael Sykes to produce and the end result is an album that hearkens the listener back to the Hoppers of the early 1990’s. I had the opportunity to see the Hoppers in concert at the beginning of December and Taranda Greene happened to be with them that weekend. If this revamped Hoppers 2.0, with Taranda, is going to be a regular part of the group’s tour in 2013 prepare yourself now for one power house performance. Personal favorites from this recording include: “I’ll Take You Home”, “I’ll Worship Only At The Feet Of Jesus”, “He Didn’t Just Carry The Cross”, “Count Me In”, “I Wish We’d All Been Ready”, “That’s What I Love About Him” and “I Am Whatever You Need”. Roger and Debra Talley were both members of the Hoppers back in the late 1970’s/early 1980’s. Here we are, 30+ years later and both groups are still at the top of their field releasing the best Southern Gospel music of 2012. I named the Talleys 2012 album Love Won #4 among the best albums released this year. There were several strong songs on that album, but there was one in particular that stood out above the rest. “Broken World” sounded like a follow-up to another Talleys mega-song, “Broken Ones”. Bev Herrema, Sean Smith and Terry Wilkins penned this power house tune that found a home in my iPod all year. Lauren Talley’s vocal work coupled with the strong lyric made this one of the best songs recorded in Southern Gospel music is 2012. Listen to a clip of “Broken World”. Tomorrow will crown the #1 album and recorded song of 2012! One of the biggest surprises of 2012 comes in at #3 among the best albums and recorded songs of year. The Anchormen (yes, I said the Anchormen) hold both the #3 spot for album and recorded song. This was the first album I reviewed in 2012 that really caught my attention. What I didn’t realize at the time was this album would remain one of the strongest albums I listened to in 2012. The vocal line-up at the time of the recording was Karl Rice (tenor), Dale Forbes (lead), Terry Carter (baritone) and Paul Harkey (bass). Paul Harkey can relish in the fact that he was part of two quartet albums released in 2012 that I named two of the top five albums of the year (see #5 – LeFevre Quartet). Personnel changes continue to plague the Anchormen. Terry and Karl remain the only members still part of the Anchormen, as of this writing, that was on this #3 album release of 2012. Luckily I am not ranking the best artists of the year but the best album released in Southern Gospel music. The Anchormen can be proud that 2012 brought them one of the best albums of the group’s entire recording career. Truly Believe! Personal favorites from this recording include: “Where Love Stood”, “I Enter In”, “Borrowed And Barely Used Tomb”, “Meet Him There”, “This Time Tomorrow” and “Some Things I Know”. 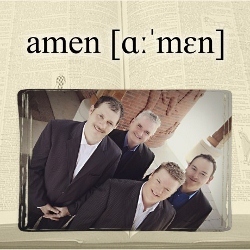 Not only did the Anchormen have the #3 album of 2012 in Southern Gospel music, but the group also has the recorded song ranked #3 among the best of the year. There were several songs that could easily be part of the twenty best of the year, but the song that stood out above any other was “Where Love Stood”. What makes this song even a bigger surprise is that Paul Harkey sings the lead on the song. But, he is not singing bass but is actually singing lead. It is no surprise Ernie Haase picked up this talented performer to join Signature Sound. The strong lyrical ballad was penned by Donna Beauvais and Matthew Garinger. Listen to a clip of Paul Harkey singing lead on the #3 recorded song of the year; “Where Love Stood”. We are ever closer to finding out the #1 album and recorded song of 2012 in Southern Gospel music. Today lets look at the album and recorded song that ranks #4 among the best of the year. The Talleys experienced some vocal changes in 2012 by adding vocalist Brian Alvey to the mix. This is the first time in the group’s career they are not a mixed trio. 2012 also saw the release of the Talleys first album under this new vocal configuration; Love Won. The group didn’t hold back providing the listener with near flawless harmonies and powerful lyrical content. The group recorded another mega-song on Love Won with “Broken World”. Personal favorites from this recording include: “Broken World”, “Make Way For The Master”, “Love Won”, “Great Love He Gave”, “That’s Why I Love Him So”, “Up Above” and “Love Covers All”. The Perrys is the only artist in 2012 to have two songs in the top ten among the best recorded songs of the year. Both songs come from the group’s 2012 album, Through The Night. The Perrys are known for recording and releasing as a single one big power ballad from each album (see “Calvary Answers For Me”, “He Will Hide Me”, “Holy Shore”, “I Rest My Case At The Cross” and “If You Knew Him”). The stand out track on Through The Night is not that type of song. “Whosoever Will” (penned by Joseph Habedank, Wayne Haun, Joel Lindsey) is simply a powerful lyric, not over sung/over produced but sung with precision by Habedank. It was this kind of song selection choice by the Perrys on Through The Night that made that album stand out to me. Listen to a clip of the #4 recorded song of 2012; “Whosoever Will”. We close out another week tomorrow with #3. The countdown has reached the top five. For all those that entered the contest of predicting the top five, now is your chance to find out how well you did. What is #5 among the best Southern Gospel album and recorded songs of 2012? Let’s find out. I mentioned when I listed their song, “Put It Right There” as one of the twenty best recorded songs of 2012 that the LeFevre Quartet had a great year. The result of that is the album that lands at #5 for the year; But For The Cross. Hands down, this the best recording of the LeFevre Quartet’s recording career. But For The Cross features Harold Reed (tenor) singing better than ever, Jordan LeFevre (lead) maturing as a strong lead vocalist, Mike LeFevre (baritone) proving he’s still got it and Paul Harkey (former bass singer) showing he is one of the best young bass singers in Southern Gospel music. There is no reason every Southern Gospel listener should not have each of the top five albums in their collections. Personal favorites from this recording include: “Put It Right There”, “But For The Cross”, “Come And See”, “We Are The Church”, “The Blessed Hope”, “Saved By The Blood” and “I’m So Saved”. Another quartet that has had a great 2012 is the Tribute Quartet. I have already named their 2012 release, Our Anthem, one of the top twenty albums released this year. That album was filled with several strong selections that could have made the recorded song list. When the dust settled, I chose “The Song Of Heaven” as the best song from the recording and #5 among the best recorded songs of 2012. The Tribute Quartet has been in search of that mega-song and “The Song Of Heaven” may be just what the doctor ordered. Penned by Barbara Huffman, “The Song Of Heaven” is a traditional Southern Gospel power ballad. It allows tenor Riley Clark to show off on the second verse. Listen to a clip of the #5 recorded song of 2012. The best of 2012 countdown is getting ever closer to #1. Today we take a look at the Southern Gospel album and recorded song ranked #6 for the year. Akins is one of the best artists touring in Southern Gospel music right now, that a majority of Southern Gospel listeners are still not familiar. A band that uses live music and offers the listener ‘where you live’ type lyrics with a great country sound. In 2012, Akins released another in a string of great albums; Based On A True Story. This reviewer listens to country music outside of my Southern Gospel and Based On A True Story offers country music with strong Christian/family lyrics. 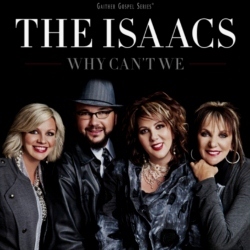 As a result the album ranks #6 among the best Southern Gospel albums released in 2012. Personal favorites from this recording include: “He Is I Am”, “Big God”, “Kneel”, “The Ride Home”, “Based On A True Story”, “Too Far Gone” and “Look Out The Window”. The Gaither Vocal Band’s Pure And Simple ranked #7 among the best Southern Gospel albums as listed yesterday. One of the stand out tracks from that album finds a home at #6 among the best recorded songs of the year. Bill Gaither has a way of finding old songs and recording them and making them sound brand new. Such is the case with the song at #6 for the year, “Glorious Freedom”. David Phelps takes the lead on this song that has become a power house concert closer for the group. This classic was penned by Alfred Judson and Haldor Lilenas. A song that has much more impact in the live concert setting but great nonetheless. Listen to a clip of the #6 recorded song of 2012; “Glorious Freedom”. The top five tomorrow with #5.